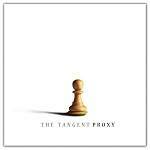 More information: The Tangent’s 10th studio album - Proxy - was recorded during the band’s tour with Karmakanic in 2017/2018 and is their most organic release to date. A riot of juxtaposing styles, despite being firmly rooted in the stylistic traits of Progressive Rock, Proxy takes some unexpected turnoffs and a major swerve. The albums kicks off with a trademark Tangent 16 minute fantasia based around growling Hammonds, shrieking Synths, whirling guitars and sharp percussive bass (with influences of ELP, Egg, Hatfield & the North, Caravan and Camel). Guests include Jonas Reingold and Theo Travis. Limited edition CD in digipak.